Your baby’s first year is nothing short of magical. In the span of 12 months, your little one learns how to roll over, smile, sit up, babble, crawl, laugh, stand up, say real words and maybe even walk. Like most new parents, you’re probably taking more photos and videos than you’ll ever know what to do with. But sometimes half the battle is getting your images off of your mobile and into your hands.Sure, you can scroll through thousands of shots every time someone asks to see a photo. But wouldn’t it be great to have a nice little flip book with photos celebrating each month of your baby’s first year? 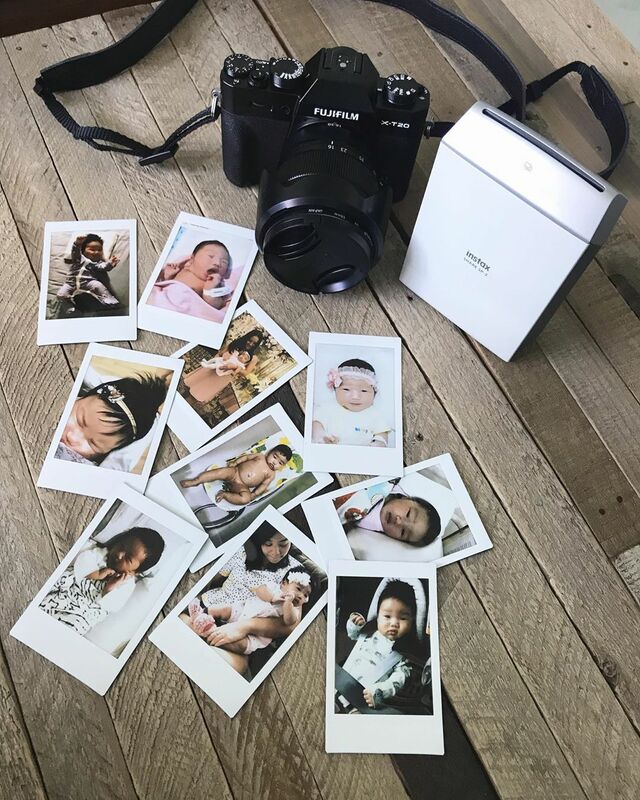 With Fujifilm’s instax line of cameras, that’s easier than ever to do. You just shoot and instantly get your photo. There’s no downloading, syncing, waiting for the mail or going to the store. Just shoot. Get the photo. Put the photo in flip book. Done. Take the photo in the same place each month. It could be in a chair, on the same blanket on the floor or even in a crib. Take the photo with a special animal plush toy. That will show how much your baby has grown and also how your baby learns to grasp and play with the toy. Place a chalkboard next to your baby, saying how many months old he or she is, along with any milestones, such as rolling over, crawling or saying a first word. Have your baby wear the same pajamas or onesie in each photo to show how much he or she has grown. Just be sure to start out with an outfit that is too big. Dress your baby in a white onesie with just the number indicating how many months old he or she is. You can find these at many online retailers. Spell out your baby’s age in old fashioned wooden blocks. Before you know it, your baby will be a toddler, then a preschooler … you get the picture. While each stage of childhood is amazing, there’s nothing quite like that first year, and instax allows you to capture it all in one easy step. That means you’ll be spending less time running around and managing your photos and more time doing what’s important: cherishing your baby’s first year. Make sure you get in on the photo action, too! If there’s no one around to man the camera, take selfies with your little one. Want to perfect yours without wasting film? Our Selfie guide can help you make your selfie portraits pop. After all, baby photos with mum and dad are equally treasured.